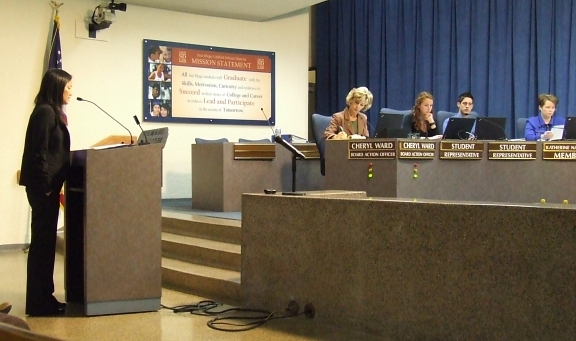 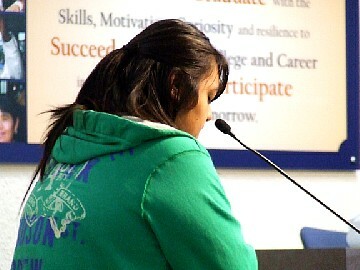 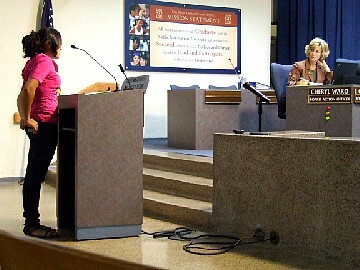 Nov. 9, 2010: Student testifies at the school board's first reading of the proposed policy. 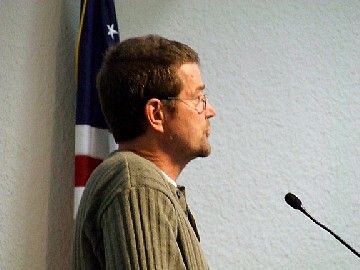 A representative of the ACLU testifies in favor of the proposal on Nov. 9. 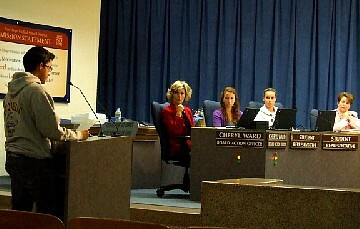 One speaker is a principal from a district high school who urges passage of the policy. 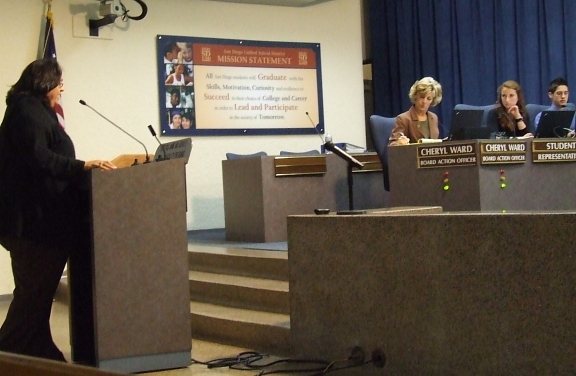 After hearing all the testimony and adding their comments, the board asks district staff to research the possible implications of the policy and report back on Nov. 30. Nov. 30, 2010: The second hearing on the proposal. 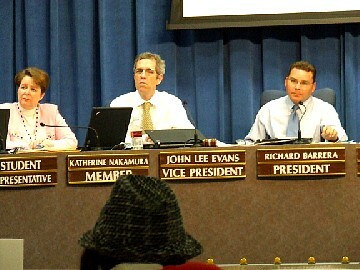 Board members Katherine Nakamura, John Lee Evans and Richard Barrera listen to testimony at the second hearing. A total of 11 speakers testify, all in favor of the policy. 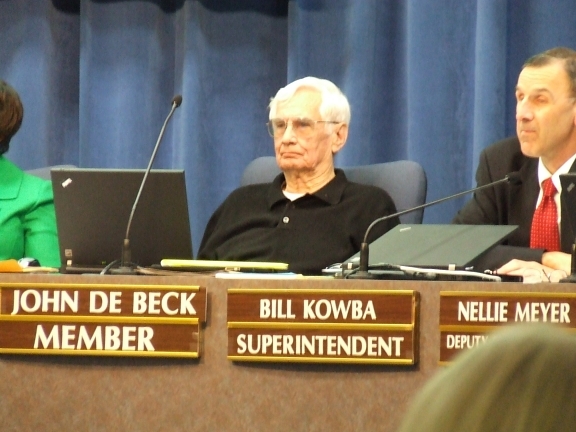 The sponsor of the proposal, John de Beck (center), and Superintendent Bill Kowba (right) listen to testimony. 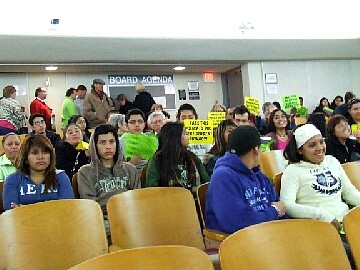 In the audience are about 70 students, parents and others showing their support for the policy. A student describes how the Army extracted personal information from her and other students by offering them special ID tags. 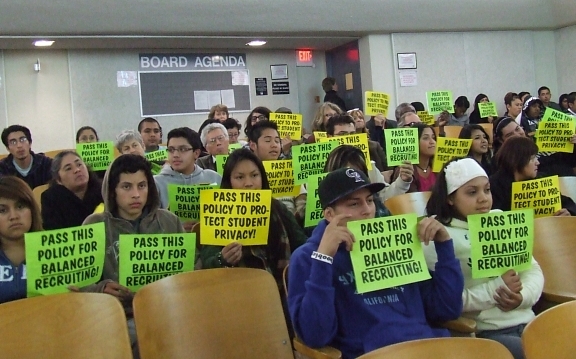 Students who got the tags later received mail from the Army, even if they had asked to not be contacted. A retired university recruiter explains why college recruiting would not be hurt if the policy were adopted.